“We Indians are so habituated to a well-defined ending to film plots that The Lunchbox’s open-ended finish not only left me stumped but made me rather uncomfortable,” a friend told me after watching Ritesh Batra’s critically acclaimed film. 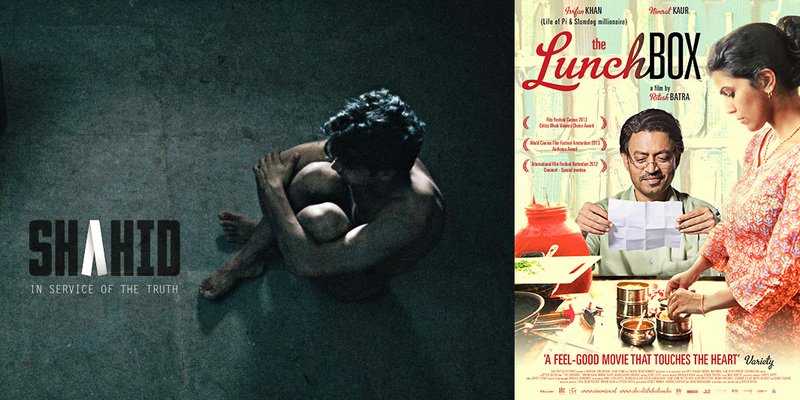 After a successful run at Cannes and winning awards in film festivals across the world, The Lunchbox opened in India. Simultaneously, in the Oscar nomination race it lost out to the Gujarati film The Good Road. Fuelled by that, a hype-obsessed Indian audience flocked the theatres to watch the subtle love story starring Nawazuddin Siddiqui, Nimrat Kaur and Irfan Khan, and subsequently the film did well in the box-office. Last month, Shahid, Hansal Mehta’s interpretation of the life of Muslim lawyer Shahid Azmi—who was killed by the Hindu right wing for defending Muslim youths accused of terrorism—opened at the box office. Boldly political, the film dealt with the plight of falsely incriminated Muslim youth in terror cases. With positive reviews and considerable commercial success, Shahid told a heart warming story. After Ship of Theseus early this year and The Lunchbox in September, Shahid was yet another addition to the list of meaningful cinema coming out of Bollywood. We live in a time where our intelligence and sense of judgement is insulted every minute by the entertainment industry. From lungi dances to misogynist item numbers, we have to bear with everything that’s being thrown at us. And as we go on silently accepting, a section of people go on earning millions of rupees. Their stand point is very simple: someone has invested money for a film, and he must get his money back with a significant profit margin, come what may. “Mainstream cinema is like cricket in India. It’s brilliantly marketed, with huge funds, to capture your imagination,” Sushmit Ghosh—the Delhi based documentary film-maker who won the National Award for his documentary Timbaktu this year—once told me over a telephone conversation. The irony is, though art needs commerce for its survival, commerce also kills art. However, breaking the shackles of market forces, films like Shahid and The Lunchbox come up. They are unique because, without being complete art films, they are powerful films which got a smart mix of commercial and artistic success. Though both the films were produced by Anurag Kashyap—the poster-boy of Hindi parallel cinema—they used the production and distribution framework of the mainstream. We need more Shahids and Lunchboxes from Bollywood because firstly, they give Indian moviegoers a rare taste of good and meaningful cinema. It proves to the average Indian that cinema is not mere entertainment—it’s not only about hip-shaking by scantily clad women or muscular men. It’s an art, one of the most beautiful crafts of story-telling. Such films are made essential disobeying the well set formula of block-busters—the cheap art of showing people whatever they wish to see. Secondly, they serve as an inspiration for that odd aspiring young film-maker (sitting in some unknown corner of the country with a camera perched on a monopod) to dream of making a film without the sole desire of commercial success. These kinds of films can inspire a whole new generation of parallel film-makers. These films might never cross the hundred-crore mark, nor will they ever display the intention to. They are made to tell genuine stories about real people and real issues, and that they try to do with finesse. The Indian parallel cinema movement, initially led by Bengali film-makers like Satyajit Ray and Mrinal Sen, has stood strong against the mainstream and also, to a great extent, against the market forces which go. Since the 1950s the country has produced a number of extra-ordinary film-makers who have made films out of the mainstream framework. Assam’s Bhabendranath Saikia and Jahnu Barua feature in that list. But now Hindi, Tamil and Telegu cinema have undergone severe commercialization and only Bengali and Malayalam cinema have to some extant kept alive a consistent parallel cinema movement. So how far will this fresh whiff of wind in Bollywood blow? Will this blowing wind effectively bring a change in the average Indian’s perception of cinema? Can we dare to dream of a day when we can accurately differentiate between cheap entertainment and cinema, and give cinema its due? This article appeared in The Assam Tribune on November, 10, 2013.